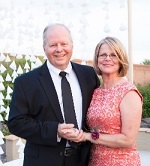 Pastor Mark Ward and his wife Janet have been attending FBC since 2013. He teaches Sunday School and often preaches in the Sunday Evening Services or helps with the Intersect Service when needed. Mark has an M. Div from Phoenix Seminary and has a deep love for Jesus and His people. What Are Preachers Supposed to Be Like?